Curation Network allows to rank dApps, blockchains and projects in a tamperproof conensus-driven manner via an Ethereum smart contract. Curation Network brings clarity and fair comparison of blockchain applications and projects to wider audience. Token-curated economic model guarantees objectivity and makes sure such rating can't be sybil attacked, spammed, tampered with or manipulated. 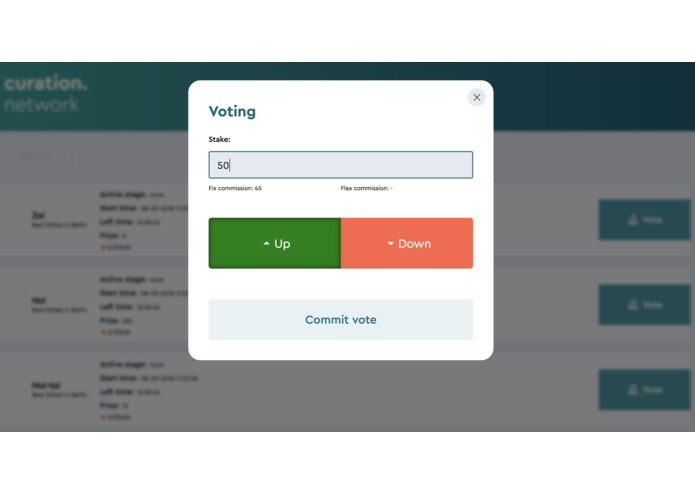 Other users cast their encrypted votes and stake tokens. Everyone reveal their votes (↑ or ↓) and stake amount. Winning direction is determined. Minority voters get their stake back minus commision. Majority voters get their stake plus commision over the period* of ranking position changing.